These are notes that I am writing to help me learn our industrial history. They are my best understanding, but that does not mean they are a correct understanding. I have some notes on big machine tools. 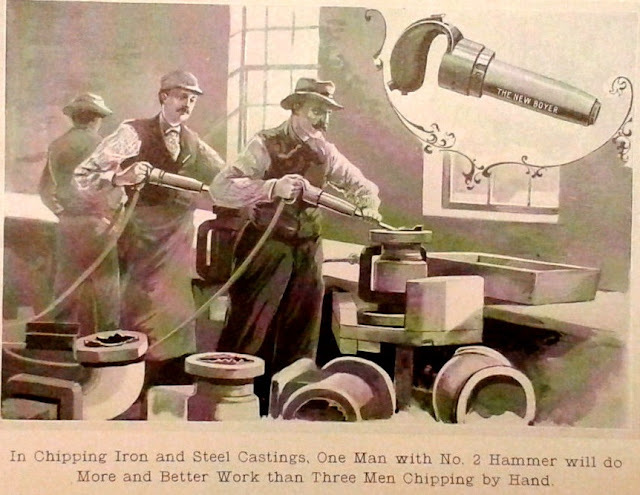 But probably more of America was built with many small machine tools than with a few big ones. I'm starting some notes concerning small machine tools. Steve Johnson shared a link to a photo album with the comment: ""Our pneumatic tools in use on one hundred and thirty-five railroads" 1897 Chicago Pneumatic Tool Co pneumatic hammers brochure, including their Boyer Railway Speed Recorder. 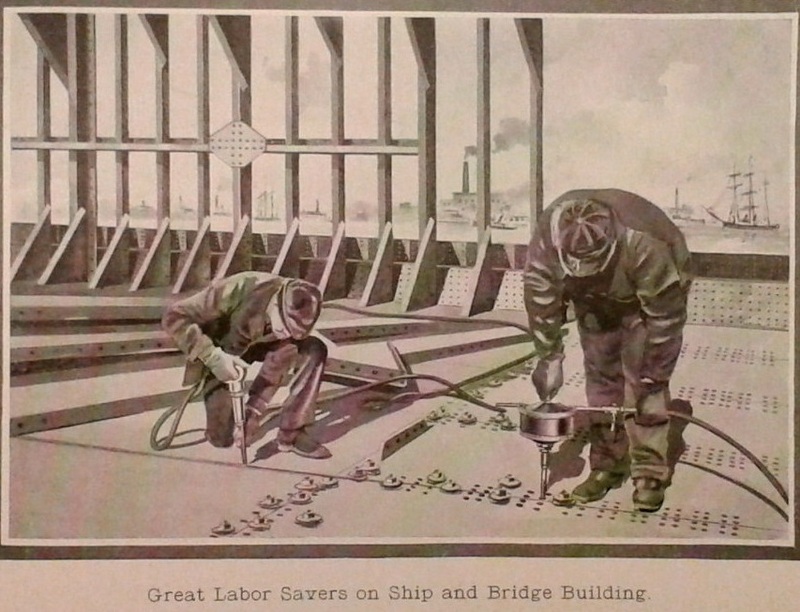 Very cool illustrations, rare early brochure, company incorporated in 1895." Steve Johnson Did a very extensive search and only found one other copy, in the Canadian National Archives of all places. Dennis DeBruler Between steam locomotives, ships, bridges, and skyscrapers, there were a lot of rivets that had to be pounded back then. Below are some of the photos from that album. Pneumatic tools are also used to to drill holes. 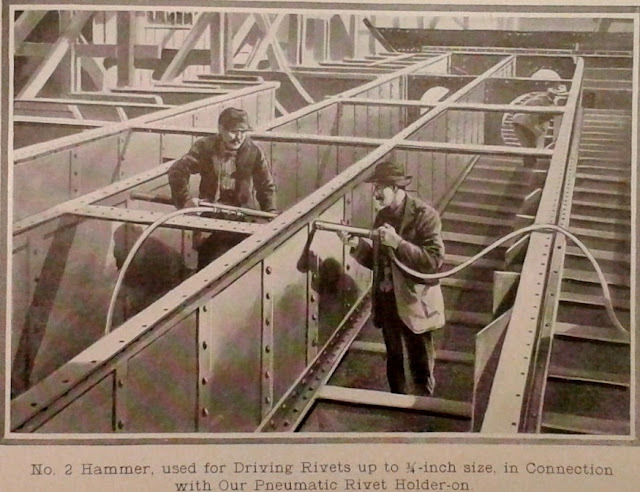 In fact, compressed-air driven tools were invented to create holes in rock for explosives when building tunnels and mining minerals because they can hammer and twist the tool. Hammers have many uses. 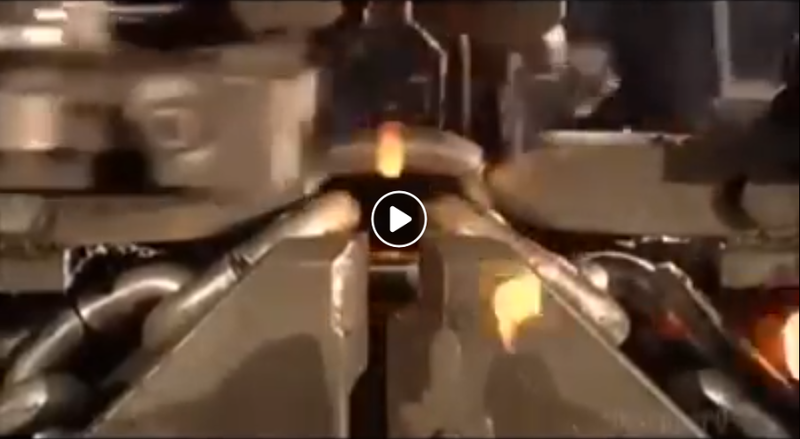 In the case of this photo, cleaning flange off of forgings. I used a smaller pneumatic cold chisel with my 2-horse air compressor to bust the stucco off my house when we were installing a new door. The carpenter I hired to do the job had bought a concrete cutting blade for his saw. But the pneumatic chisel did a much quicker job. He was embarrassed because he had consulted with a friend as to how to remove the stucco. He was also relieved because the saw didn't make much progress, but the chisel cut through the stucco like butter. 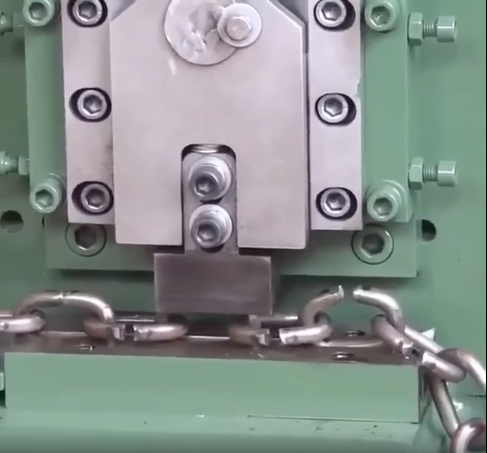 I've also come across videos of a couple of generations of making chain. The caption of any image that is not mine will indicate the source. My images are © 2014-18, and are licensed by CC BY-SA, http://creativecommons.org/licenses/by-sa/3.0. Attribution: Dennis DeBruler. Since I hit the 1200 byte limit, I have moved my real introduction to http://industrialscenery.blogspot.com/2014/05/introduction.html.